1. Like a car, your mower needs fresh Gas. Fresh gas (87 or higher octane rated) is critical to an engine’s performance. You’ll want to use a clean funnel to draw gasoline from either a one or two-gallon gas can to fill the mower’s tank. Plastic gas cans are a good choice, mainly for the benefit that they won’t rust. If you own a five-gallon gas tank, dispose of it properly. The problem with a five-gallon can is that it provides the user with more than a 30-day fuel supply and gas that has aged over 30 days may unfortunately negatively affect your engine’s performance. Moisture buildup and octane loss can lead to gum deposits in the engine’s fuel lines and carburetor as well, which can also lead to poor engine performance, making less than a 30 day supply vital. 2. Replacing engine oil is a must. After every 50 hours of operation, you’ll want to drain all engine oil and replace it with clean SAE 30 engine oil. Check the lubrication section of your mower’s owner’s manual for oil recommendations for your specific style of mower. 3. The spark plug won’t last forever. After every 100 hours of operation, the good-old spark plug will need to be replaced. Spark plug type and gap can be found in the product specifications section of the owner’s manual as well. 4. A dirty air filter is no good. If the mower’s air filter is dirty, than the engine may damage and therefore not run properly. After every 25 hours of operation or every season (whichever comes first) you’ll want to service the air filter. To do this, you simply remove the air filter cartridge and gently tap it on a flat surface. If the filter is excessively dirty, just go ahead and replace it with a new one. 5. A clean mower deck is a happy mower deck. To thoroughly clean the mower deck, you simply disconnect the spark wire from the spark plug and then position the wire where it cannot come in contact with the plug. Scrub the mower housing thoroughly with soap and water, removing all dirt, grease and grass. For heavy grass buildup under the mower’s deck, a scraper might come in handy. 6. Sharp blades make all the difference. For the best cutting results, your lawn mower blades must be kept sharp. You can sharpen your blades either with a file or on a grinder wheel while it goes without saying, you NEVER want to attempt to sharpen the blade while the mower is on. Special care should be taken as well to keep the blade balanced. 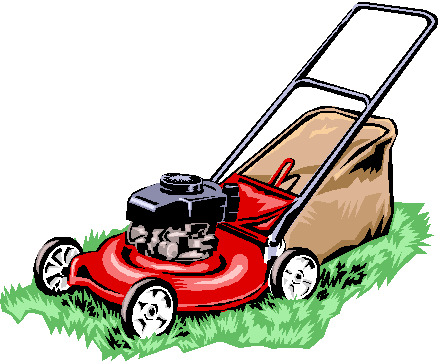 An unbalanced blade will leave an uneven cut on the lawn and can eventually cause damage to the lawnmower or the engine. To quickly check a blade’s balance, drive a nail into a beam or a wall leaving approximately one inch of the straight nail exposed. Place the center hold of the blade over the head of the nail. If the blade is balanced, it should remain in a horizontal position. If either end of the blade moves downward, you’ll want to sharpen the heavier end until the blade is balanced. 7. You need a fertilizer? Just mulch. Mulching is a great option to economically and consistently fertilize the lawn. With mulching mowers, small particles of grass are returned to the soil to biodegrade and serve as fertilizer. In fact, mulching can contribute up to 25 percent of the lawn’s fertilizing requirements. However, you’ll only want to cut one-third of the grass’s height when mulching, for fear of clogging the mower. 8. You better clean that engine too. It’s highly important that you keep up on cleaning dirt and debris from the engine air screen and the engine’s cylinder fins. For Opelled Mowers, you’ll want to replace any worn or damaged belts. To keep the driver system working properly, check the gear case and area around the drive system. It should be kept clean and free of grass and dirt buildup as well, while making sure to clean under the drive cover at least twice a season. 9. Make sure your gas matches your engine. Do not put four-cycle gas in a two-cycle engine. 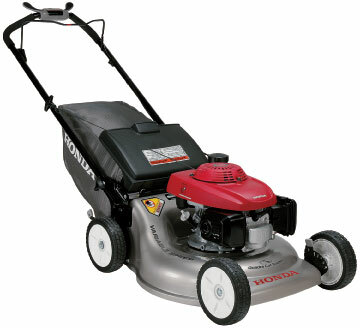 Lawnmower gas should not be used in the weed-whacker either, as the fuel is too lean. The weed-whacker may run for a while on the straight gasoline, but will eventually stop and be difficult or impossible to restart. Add oil to the fuel to get things back to normal again if you run into this problem. For more information on our services and outdoor maintenance advice, visit our website at www.midatlanticdeckandfence.com!